With over 40 million people hosting their websites and serving over 325 million unique visitors each month, Weebly is known as one of the most popular platforms for building websites. Since its initial launch in 2007, Weebly has come a long way. The platform now supports 15 different languages and comes with a variety of incredible features, including support for eCommerce websites, blogging, mobile apps, and most important feature of all, the ease of use. When talking about building websites, the first platform that comes to our mind is WordPress. However, it requires a little bit of a learning curve and some technical knowledge in order to setup a website with WordPress. 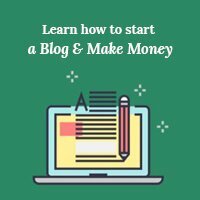 Plus, after setting up the site with WordPress, you’ll be in charge of maintaining it, updating the database, plugins, and customizing themes, and many other functions as well. All this can be a little too overwhelming for someone without any web development experience. For those people, Weebly can be an excellent alternative for easily building websites without any technical experience. Similar to Squarespace, Weebly is a great all-in-one solution for building all kinds of websites from personal portfolios to small business websites and online stores. Want proof? Have a look at some of the most beautiful websites that entrepreneurs have built using Weebly and see for yourself. Wall’in is a great example of a website that makes the most use of the fullscreen header image trend. The website of this French interior design agency is available in both French and English versions, includes a beautiful portfolio page, and has an integrated shop to allow their customers to directly buy their products through the website. The minimalist design and the big bold Call To Action (CTA) button on the homepage make this website much more constructive and easy on the eyes of the visitors as well. This website proves that great website designs are not just limited to big brands, but even the nonprofit organizations have the potential to build attractive websites. The website for Ina Road Church Of Christ is so beautifully designed that you’ll instantly fall in love with its parallax scrolling effect. The website also includes a blog with all the Church-related news items, an event calendar with upcoming events, resources for believers, PDF downloads, and so much more. All of this has been nicely packed into the same website. This particular website will win you over with its exemplary use of minimalism. Instead of stuffing the website with too much content and images, the website for this gift box store uses a static homepage with only its logo and a CTA with a link to its store. It’s simple, elegant, and effective at the same time. The store section of the website also uses a minimalist layout and minimal product pages. The Box Bros website shows that complex and large websites doesn’t have to look cluttered with megamenus and too much text and images. It can be as simple as this. This brilliantly designed Sunday school website acts as a portal for both students and parents for learning about the classes and programs available at the school. The Path website uses a single-page theme with a parallax scrolling effect. The website has also been nicely categorized to allow visitors to quickly jump to specific sections on the website. The colorful design of the website is a creative feature that will certain help attract the attention of the kids. Chapman Stick artist Japhlet Attias’ website is yet another brilliant example of a stunningly designed Weebly website. This website uses a theme that comes with a number of great features, including sections for embedded videos, streaming audio music, and more. The website also uses a single-page scrolling design and appears to match perfectly with the style of the solo musician. This Melbourne-based brand and design agency also uses Weebly to power up their company website. Brand iD website features a single-page design that neatly includes all the details about the agency services, their mission, as well as a portfolio section filled with all their branding work. Brand iD website design also seems to follow several new design trends, such as hamburger menus, ghost buttons, and fullscreen header images as well. Spanish apparel designer Raquel Orozco’s website is filled with all of her stylishly designed clothing items. Much like her designs, the Weebly-powered website also uses an elegantly designed theme that showcases her work in a bold way. The website also includes several different sections that feature Raquel’s fashion films, shows, and an online store for purchasing her designs online. Who says websites are only useful to digital and modern businesses? 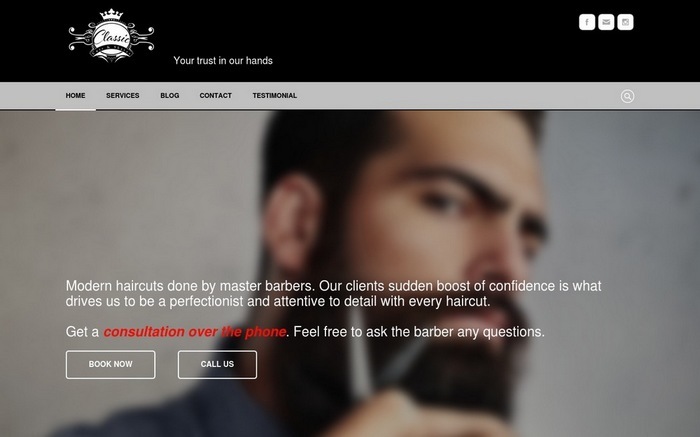 This website for the barber shop, Classic Cut & Shave, will show you how effective websites can be for brick and mortar businesses. The online booking system is probably the most useful feature of this website. It allows people to book a seat at the barber shop at a preferred time with their favorite barber. The beautifully animated header background is the first thing you’re going to notice in this attractive school website. The Brighton Secondary School in South Australia has used its design quite nicely to their advantage to showcase their talent, programs, and more. The website features a number of useful widgets as well, including an event calendar, an animated notices section, and more. Freelance graphic designer Josh Barton uses a Weebly website to attract more clients for his business online. Josh’s website is simple and beautiful. It includes a section for case studies from his past projects, an effective contact page, testimonials from clients, details about Josh, and more. It’s pretty much everything you’d expect to see on a personal portfolio website. Central Vineyard is the official website of a religious community in the UK. The website has been designed so perfectly that at first glance you won’t be able to tell whether or not the site is for a church or a business. This website is actually a large multi-page website that includes lots of information about the Central Vineyard community, including news about their events, a community page, and more. Graphic designer Nick Fusedale uses Weebly with a stunning theme for his professional portfolio website, where he showcases all his work. The website features lots of sliders, which he uses to feature his projects with many pictures. Great real estate websites are hard to come by. Most of those websites often look ugly and outdated. This particular site, however, is an exceptional example of an attractive real estate website. The Sanders Family Real Estate website looks more attractive and modern than most other real estate websites on the web. Building product-specific landing pages is not so easy. You have one page to tell a story about the product and you must get everything just right. Readydesk is one of the few landing page websites that got everything perfectly. Readydesk is a standing desk that sells at different prices. The beautiful landing page of the website nicely details all of Readydesk features and functions. The website also includes an online shop where people can easily purchase the Readydesk as well. We Talk Money is an independent agency that provides financial advice. The agency uses its Weebly-powered website to effectively explain what they do, the services they offer, along with some advice for beginners, and includes contact information to get in touch with the agency. The website also features a static sidebar with navigation links. A nice feature that you don’t normally see on most other websites. This is the main website of a popular online course that teaches entrepreneurship to young leaders. Over 30,000 people have participated in the program. Leadapreneur’s main website acts as a starting point for its new students to learn more about their programs. As you can see, the website also features an eye-catching design. Another all-in-one website that comes with a landing page, a blog, and an online store packed into one Weebly website. The Whiskey Ball website features a modern design while brilliantly showcasing its products throughout the homepage with links directing users to its shop. The Whiskey Ball shop also includes a beautiful layout and detailed product pages. This is the website for a popular call center service provider, CallNet Corp. This site features an attractive homepage design with a video header that quickly explains what the company does to its visitors. The website also comes with a simple page design that makes thing easier for providing more details about its services. As you may have figured out by now, Weebly is not just a platform for creating simple landing pages and portfolios. It’s also a great platform for building large and complex websites as well. But, is it better and Squarespace, Wix, or Virb? We’ll let you decide that. Have you seen any other great websites that use Weebly? Share them with us in the comments section. Some of these definitely have a “Weebly” vibe to them (you can tell they made them with Weebly), but some of them are actually really good! Just goes to show that these free site builders actually aren’t all that bad if you’re willing to put in a bit of time and effort to customize the sites you make with them, instead of just using the stock themes/etc that they provide for you.